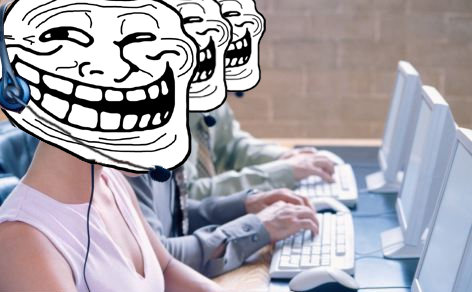 An inspiring first person account of employee sabotage in a pensions call centre, where workers helped customers recoup forgotten pension benefits at the cost of the company in response to bullying management. Some years ago I worked in a call centre/contact centre as a pension/assurance call handler, with complaints handling as my main work. There were maybe 200 workmates/25 bosses on my floor. Every day at least a few people (often several people) burst into tears, for being sworn at, threatened, made anxious, etc by complaints (at the time of intensive conflict about the failure of low cost endowments - 'policy holders' vs 'financial advisors') for mis-sold policies. In our case, the company Scottish Widows Plc had a fairly typical call centre layout: 6-12 workers per per composite table with a line manager, every few composite tables had a group of mentors (for tech advice to workers) and a few floor managers. All bosses knew very well the severe stress caused to workers, and a culture of blaming the victim was used - if a woman burst to tears "she was not suitable for the job" or "not tough enough". If men broke down and screamed out, hit their desks or cried, similar accusations were made. The standard induction course of Scottish Widows at my workplace specifically noted that call centre/contact centre (particularly complaint handler) jobs had an expectancy of not lasting longer than two years. we would conference calls (put calls on hold if calls were from financial advisors, or other business source which caused us stress, until callers hung up, which made a second call line available, while the first was on hold). while the call was on hold, we would search through our lists of previous pension calls about "gone aways/addressee unknown/return to sender" change of address entries, the reason for this is that pension companies make a fortune from abandoned pensions. We searched company information on systems and phoned relatives, friends anyone who we could find that might be able to speak with pension owners that have lost track of their money. About pensions - if you retire early (eg. maybe a professional dancer will retire at 35 or 45 because of the workload/health ratio, your back can't take the pressure throughout your life to a 60/65 retirement). Retiring early is one of the greatest penalty calculations to a pension annuity, another high penalty at retirement is to cover a second person (spouse). Obviously many people retire at an average retirement age, but with the mature years sometimes comes forgetfulness. In one case a man worked two jobs of about 30 years each. He forgot about his first pension when his age of retirement came about because he moved home a few years before retiring. He was in his late 70s when he actually retired on the one more recent pension he knew about. A further interesting thing about pensions is that the calculation becomes extremely favourable when you get your pension late (recovered pensions cost companies a lot). He was in a list of "gone aways" and during one of our "work to rule" calls we found someone who knew him and they would ask him to phone us. We took the call a few days later. At this time the pensioner was in his late 90s struggling on a standard pension. The fact his earlier pension was not used at retirement meant that now that he is in his late 90s it was worth hundreds of thousands of pounds. He was one out of hundreds of people we did this for, despite that management didn't have an idea what we were doing. I witnessed this method being used for long over a year until I had my final conflict with the managers. Workmates I spoke to years afterwards said that this method was still used occasionally. We cost Scottish Widows millions of pounds - SW bosses are selfish bastards. We hit them where it hurt! This account was originally posted as a comment by AES here in our forums. The formatting has been slightly edited by libcom.org. We cost Scottish Widows millions of pounds - SW bosses are selfish bastards. We hit them where it hurt! This is ace. Did you manage to secure better conditions from the pressure you put on them? Did you manage to secure better conditions from the pressure you put on them? * Back to back calls, usually with a highly intensity of pressure on call handlers throughout the day, with no relief. * Management knew about this agressive pressure on workers and did nothing to protect us, or provide adequate alternative work options. To protect each other from the ongoing abuse, and remedy the management strategy of pretending that the problem does not exist, we enforced breaks (by allocating time we recovered from known aggressive callers, and unsympathetic financial advisors, who were kept on hold) as we searched for contact information of pensioners who lost their policies. Our response could be applied immediately by anyone under pressure and include the relief we wanted for ourselves and to protect each other from abuse in the workplace. Over some time we did directly secure better work criteria agreements through pressure on the bosses (the option of work that was relief from complaint phone calls, such as mixing a percentage of call work with a percentage of data entry jobs) but our option of finding lost pension policies was still most popular between dozens of us. No-one knew for sure how many knew about our method. Steven, that's right, we have never discussed our method with management because they would have clamped down on it immediately. Thanks for the compliment and for the further circulation of the post. Good to read. Thanks for writing it up and well done for doing it. I work in a call centre which regularly does conference calls to Scottish Widows to help clients find details of policies for which they don't have paperwork. Sometimes we get the impression (more often with other companies than with SW to be honest) that someone in a bank/insurance company call centre is trying to be a bit of a jobsworth and obstruct us/our client finding the details (we're paid on commission and the main objective is to secure those details). The temptation at that point is to become adversarial and snidey in order to get what we need (we're under pressure too). Is there anything we can do to show a bit of solidarity and make things a bit easier for the people in the other call centre? Great stuff. Worked in call centres for 10 years. People getting upset etc happened a lot. Luckily at my workplaces fhere wasn't a victim blaming culture where i worked. Good solidarity from workmates. I used to take9 er supervisor calls and if the person continued fo be abusive hang up and maybe block them from phoning the call centre. The action taken here is great. However think it's hard to acheive in most call centre environments. Hold time, average resolution time etc are all regularly moniterd. Also at my call centre attempts at unionisation were met with threats of moving entire operation to India. Think i'm more inspired by ability to organise in CC rather than the methods. Great stuff. Thanks for your comments heeblemona and JimJams. We made a decision to not be impartial (fair) but rather to advocate (take sides) in favour of policyholders against the company. At the time any returned mail (gone away; addressee unknown; return to sender; post refused; etc) was collected and then processed in bulk. The process was basically that these policies of returned letters had mailing addresses removed. To remedy the broken connection between the policyholder and their pension/savings, would require a written letter or vetted call *specifically* dealing with the address change, which was done without notice. This problem was/is a widespread cause of money being lost to people. A useful response from policyholders is to make a regulated complaint to the Financial Services Authority ("regulated" means that the error has caused/risked financial loss/hardship - the FSA are required to fine companies that have unsatisfactory practice leading to people losing contact with financial policies). Also, from our point of view as workers, the guidance was that calls can be terminated only after the third altercation (meaning that you have to tolerate being sworn at, or badmouthed three times before any relief) and the company, at the time, had no record of defending workers from abuse at all. AES, that looks like useful information, in terms of how you help the customers. Would you be able to edit this article and add some stuff in? It would be great if you could! Interview with Amrit Wilson and Grunwick 40 about the iconic strike of East African Asian women in London in the 1970s.